​Stunning parkland right on the banks of the River Tyne. with great facilities and easy walking and cycling routes. Set on the banks of the River Tyne and just 15 minutes walk from the town centre, this country park offers easily accessible walking and cycling routes west along the river to Warden and beyond, as well as space for picnics and BBQs. 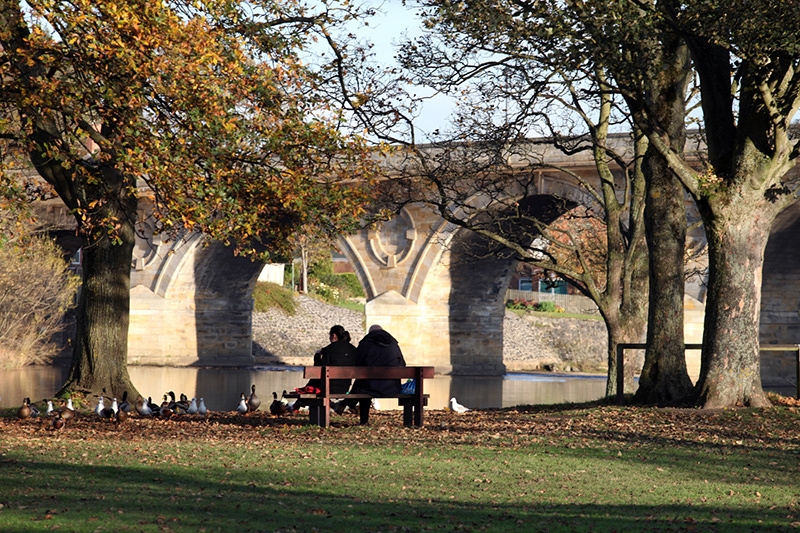 The park features an avenue of beautiful mature trees and lovely views of the 18th Century bridge and River Tyne. There is a free public car park, children’s play area and public toilets. Also the home of Tynedale Golf Club, with its Cafe located in the clubhouse. Come in mid-Autumn and see salmon leaping up the Tyne.